Qualcomm has announced new Snapdragon processors for mid-range smartphones at the 2019 Qualcomm AI Day. 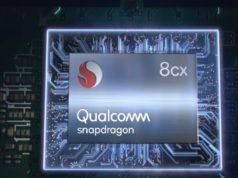 The company has unveiled Snapdragon 665 as a successor to SD 665, and Snapdragon 730 to succeed Snapdragon 710. 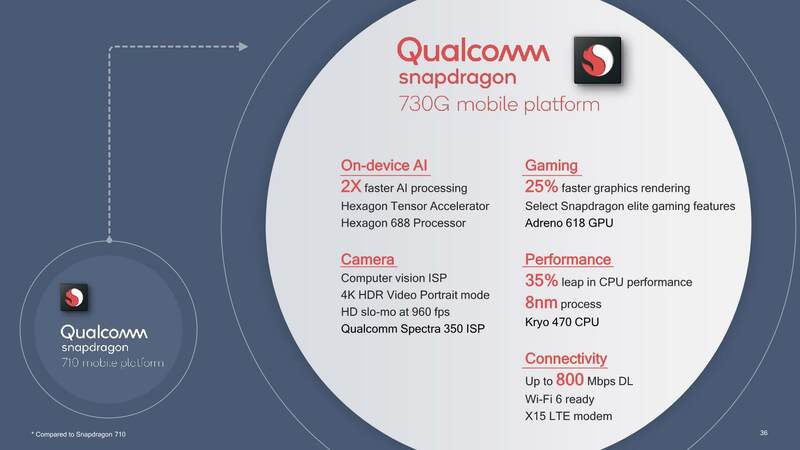 Additionally, the chipmaker company has also announced a new gaming-focused processor — Snapdragon 730G, where G stands for gaming. SD 730G borrows features from the company’s latest chipset SD 855. Snapdragon 665 falls between SD 660 and SD 670 and brings some (not much) improvement over the Snapdragon 660 which is deployed in budget smartphones. The processor is built on 11nm LPP architecture and packs 4x Kyro 260 based on ARM Cortex-A73. Qualcomm, however, has clocked it at 2.0GHz, which is lower than the SD660’s 2.2GHz. New additions are Adreno 610 GPU and Hexagon 686 which are touted to bring improvements in graphics. While SD 660 supported a total of a 24MP single camera, the upgraded chipset supports up to 48MP single main camera and triple rear camera setup. 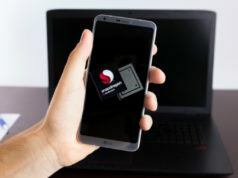 Snapdragon 730 is a direct successor to SD 731 and promises to bring considerable improvements in terms of performance for mid-range smartphones. It is based on Samsung’s 8nm LPP process and upgrades Kyro 360 to Kyro 470 which is based on Cortex A76. 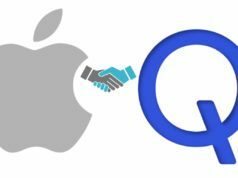 There are no changes in the clocking speed, but the bump in the CPU cores is expected to bring a 35% performance growth. Also, there is the new Adreno 618 GPU for 25% leap in graphics performance. 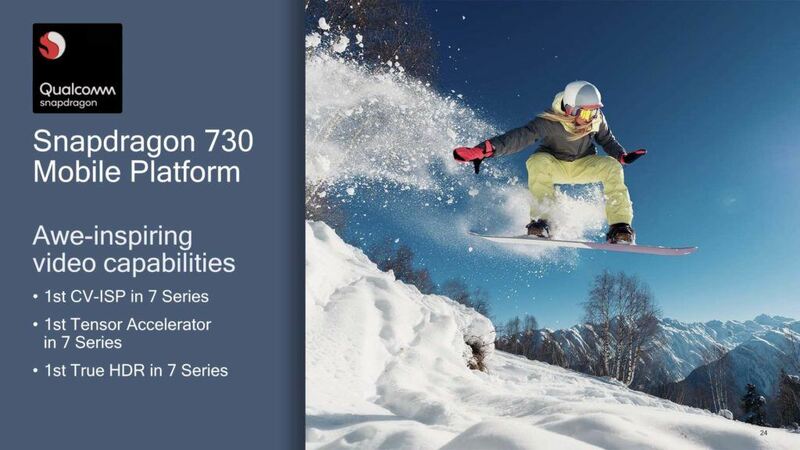 SD730 brings 2x faster AI processing with the new Hexagon 688 DSP. Also, it brings Spectra 350 ISP which supports up to a 36MP single camera, 960fps 720p slo-mo video capture and 4K HDR video Portrait mode. In addition to improvements in camera and video capabilities, Snapdragon 730 is also expected to bring improvements in battery performance. 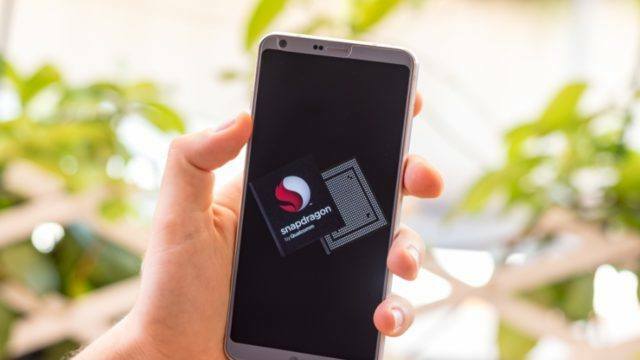 Snapdragon 730G is an interesting announcement from Qualcomm. The gaming-focused Snapdragon 730G brings “up to 15% faster graphics rendering” when compared to SD 730. It has an overclocked GPU to offer enhanced gaming performance. As compared to Snapdragon 710 that supports FHD+ displays, SD 730G also supports resolutions up to QHD+. 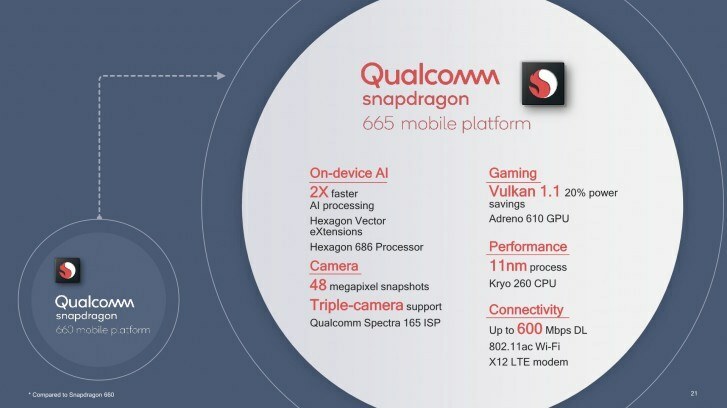 Qualcomm has included some of its Snapdragon Elite Gaming features such as Anti-cheat extensions, Network latency manager, Jank reducer. As per Qualcomm, the Network latency manager optimizes network settings and handles Wi-Fi configurations efficiently for smoother gameplay. Jank reducer tackles stuttering of games up to 90% while you’re playing at 30fps. 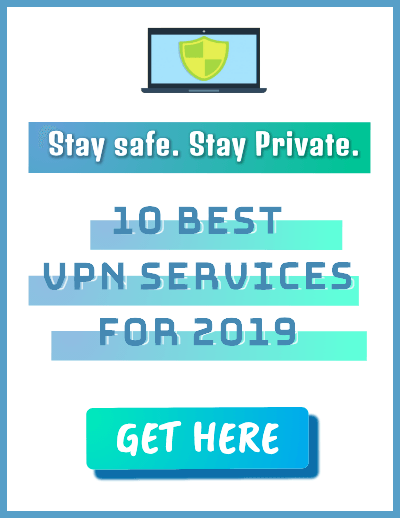 These features are normally found in high-end Snapdragon processors, and with 730G, the company aims to bring considerable improvement in the gaming experience for budget smartphone users.